Your Email Address: * Your Name: * Select Product to notifyPress Ctrl & Select for Multiple Items. 4"x4"2"x4"
This pack is a great way to get a variety of solid colors! 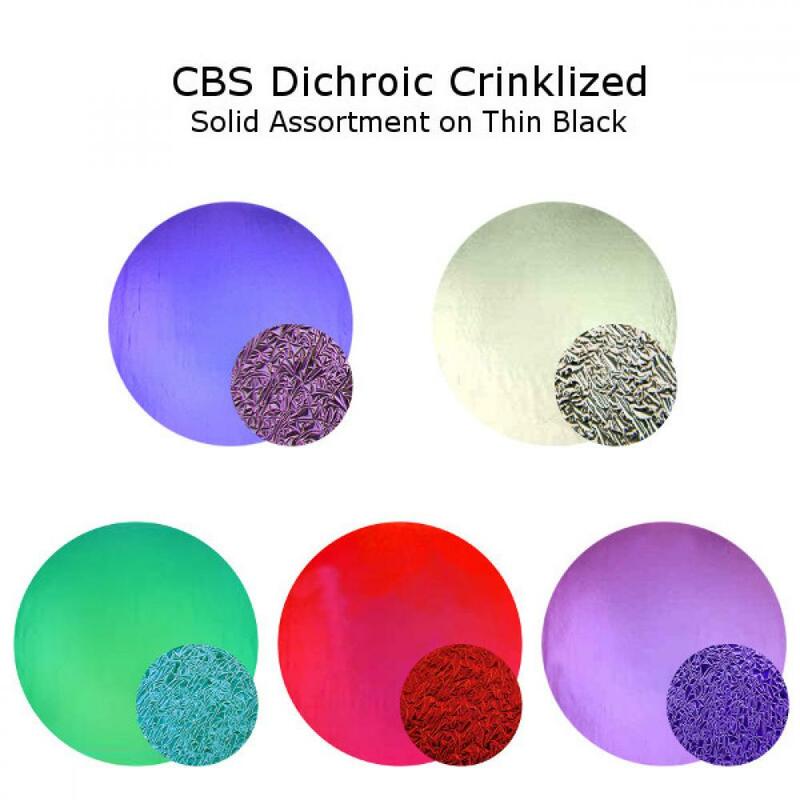 It contains 5 different pieces of CBS Dichroic's Solid Colored Crinklized glass. Choose from a variety of sizes on thin black glass.